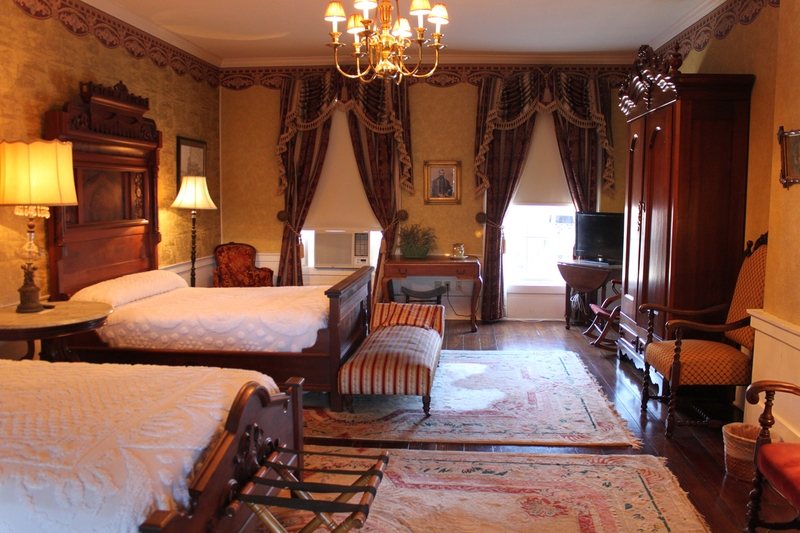 The Jay Gould Room, #215, features two double beds with a walk-in shower. The furniture is Circassian Walnut and dates from the early days of Jefferson. Most of this wood comes from Russia. Maximum capacity for this room is 4 people. Children and young people under 18 must be accompanied by a parent or adult.